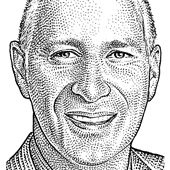 Team player John Skipper has coached ESPN through its explosive drive in television, digital, print and advertising sales initiatives. Even as a rookie, he kept his eye on the ball – in this case, the emerging digital landscape – and hit home runs with ESPN magazine, ESPN.com and the early adoption of broadband access. He brought the company’s “best available screen” philosophy to life across more platforms and with more wide-ranging major rights agreements than ever before, and his focus on live sports has made him an MVP with fans. And to torture just one more sports metaphor, in a game where it’s win or lose, Skipper finds the corporate win-win. Gooooal! Don’t expect Google to break the bundle when it experiments with cable TV. But you could see some cool features, like a cloud-based DVR, and a programming guide that doesn’t make you want to scream. 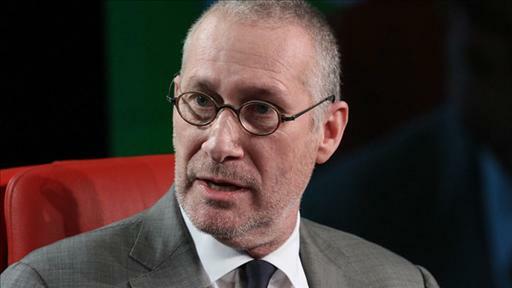 ESPN isn’t much for cannibalization, said its new president, John Skipper, speaking today at D: Dive Into Media. NBC is letting you watch the Super Bowl on the Web, for free, on Sunday. Here’s why. Here’s how your monthly cable bill gets split up. Spoiler: Disney and ESPN get a really big chunk. Time to introduce another D: Dive Into Media speaker, and this one’s very timely: The first onstage interview with the new head of cable TV’s MVP. If every TV show was offered at a fair price to everyone in the world, there would definitely be much less copyright infringement. But because of the monopoly power of the cable companies and content creators, they might actually make less money.